USA Fences & Gates, Inc.
Joe's On Site Welding, Inc. Comment: NEED A FENCE DUE TO PIT BULL ATTACK FROM NEIGHBOR'S DOG. Comment: Tree limb came down during a storm last week and damaged the aluminum fence which encloses my pool. Comment: 56 foot fence needs replacing. I would like a cedar good neighbor fence. Comment: I am looking to enclose my backyard. The ground is basically level and I would like to have 2 small gates installed and possibly one large. Bedford Hills Fence Contractors are rated 4.78 out of 5 based on 750 reviews of 20 pros. 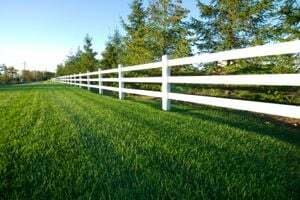 Not Looking for Fences Contractors in Bedford Hills, NY?